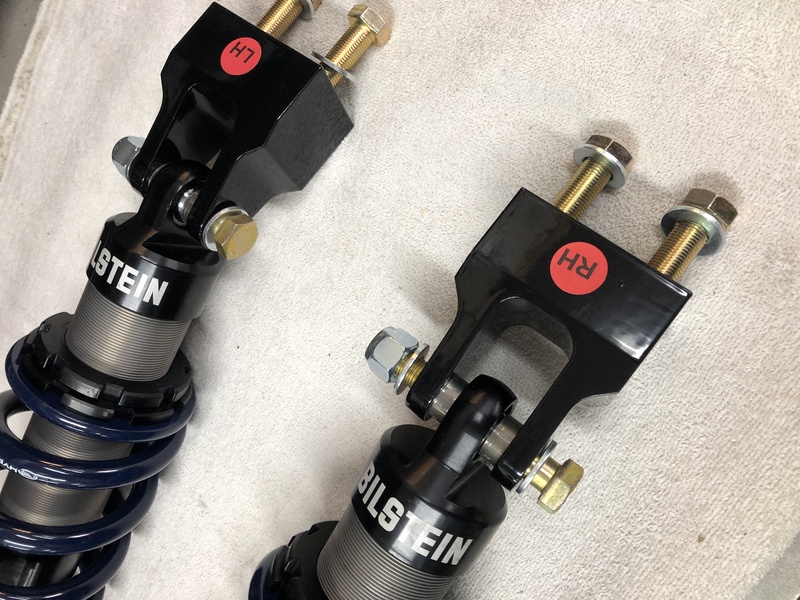 Checkout these custom valved, Bilstein double adjustable coilover shocks we built for a customers '70 Mach 1. 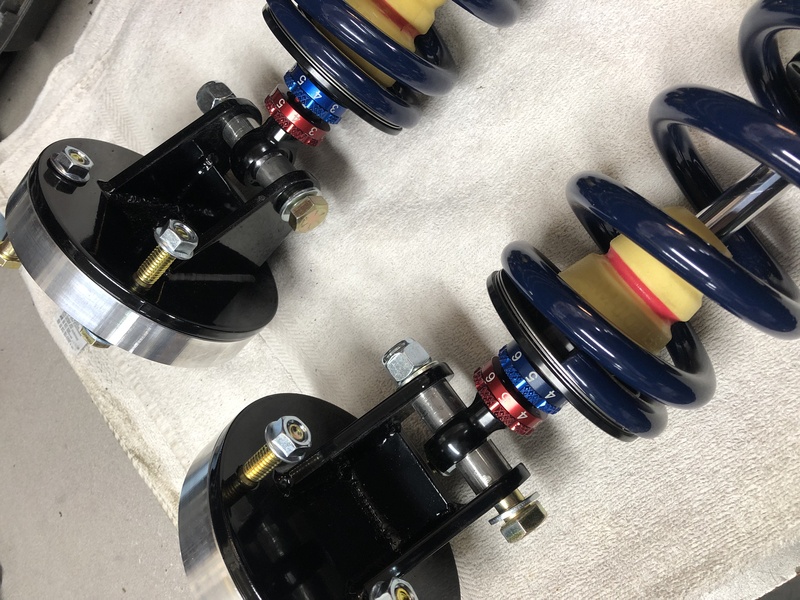 Available as an upgrade on our coilover system, these aluminum bodied shocks are essentially 3 shocks in 1. Set both dials to #1 and you have our Street valving, #5 is Sport and both at #10 is our Race valving. With so many options available for these cars its important to understand what you are getting. Would you buy a camshaft and expect it to arrive as a plain billet of steel? NO! You'd want the profiles professionally mapped out and ground by an expert, someone that knew and understands how to get out of your engine what you want. Why then do people buy shocks that are not tuned specifically for your car from companies that don't employ specially trained shock & suspension engineers? Its like that billet of steel, it fits the gap but isn't optimized for your vehicle or what you want to do with it. 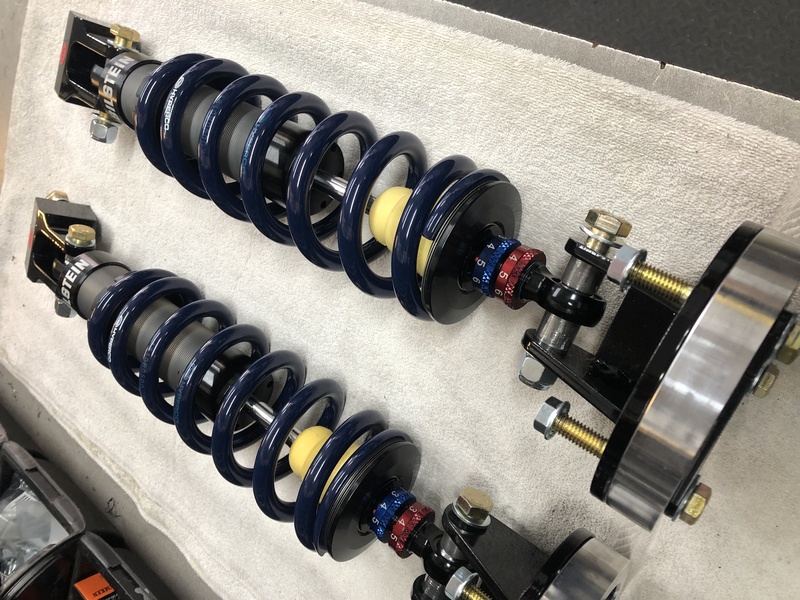 The end result is you may say your car has coilovers but the ride quality will suffer and longevity of the components will be questionable. Last edited by Shaun; 03-27-2019 at 01:42 PM. Great...... and now I have drool on my keyboard.